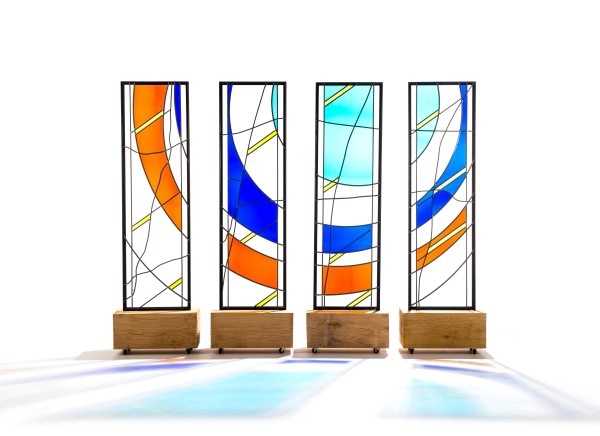 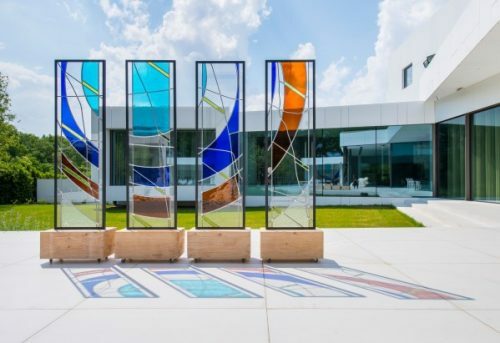 John Dierickx also designs stained-glass objects that can be displayed both inside and outside. For this concept, John Dierickx designed four stained-glass windows that were mounted on an oak block on wheels, so that they are mobile. 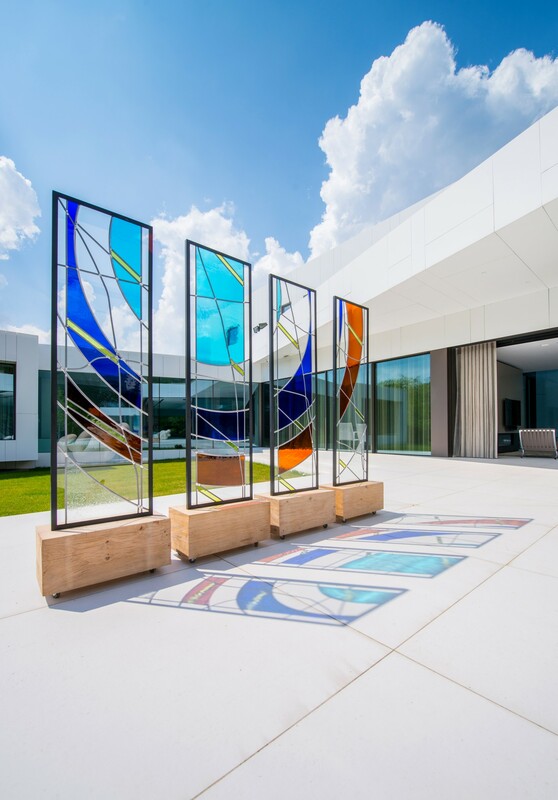 These stained-glass panels can be used inside and outside, depending on the circumstances.